The Department for Transport has rebuffed rumours that the its forthcoming Road to Zero strategy will mean only plug-in hybrid, electric or hydrogen fuel cell vehicles will be available after 2040. The announcement is set to limit 2040’s new car market to plug-in and hydrogen-powered vehicles. Circulating 10 months after DEFRA and the DfT revealed their clean air strategy, which gave an ambiguous definition of which vehicles would be sold after 2040, the strategy should give much-needed clarity for consumers and the automotive industry about the government’s forthcoming future plans. 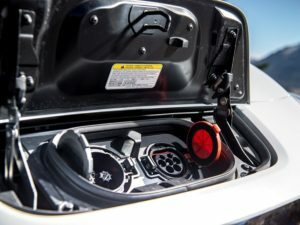 Fleet World reported last November that the Department for Transport had tightened the definition to vehicles which could be driven just using electricity – which would include hybrids without a mains-rechargeable range. The strategy has not been released officially, but a statement released by the SMMT suggests that it mean plug-in hybrid, electric or hydrogen fuel cell vehicles will be available after 2040. It suggests a very different new car market by that point – these vehicles accounted for 18,019 units in the first four months of 2018, equating to a 2.0% share of the passenger car market. In a statement released to Fleet World, Mike Hawes, SMMT Chief Executive, expressed disappointment that policy had been leaked. He said the industry could not dictate the pace of change nor consumer demand, and called for incentives and funding for infrastructure to support plug-ins, as well as better information for consumers. The 2040 cut-off date for conventional petrol and diesel cars was proposed by the coalition government in 2011. If the rumours are true, then the forthcoming strategy does not move that cut-off date forward, despite recent pressure from a cross party group of MPs to do so, or the Government’s recent defeat in the High Court to environmental campaign group ClientEarth.